Played in 163 games in 1989. 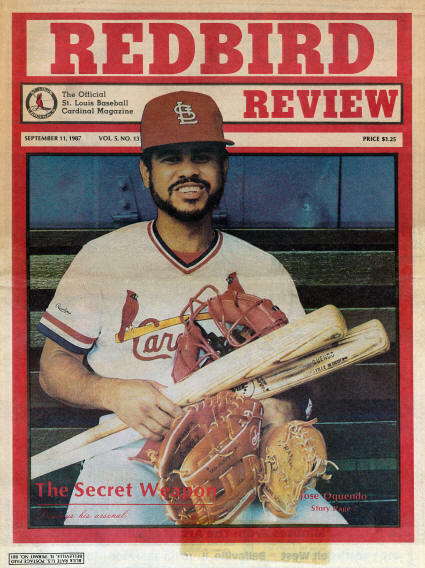 Led the NL in assists (523) in 1989. Led the NL in fielding percentage at 2nd base; .994 in 1989 and .996 in 1990. 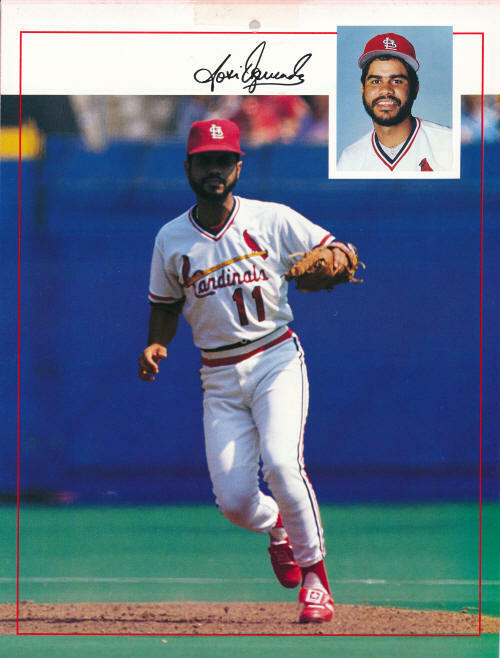 On May 14th 1988, Jose becomes the first position player to earn a pitching decision in 20 years in a 7-5, 19 inning loss to the Atlanta Braces. He gave up two runs on four hits and manages to shut out the Braves for three innings before giving up two runs in the nineteenth and suffering the loss. It's the first decision by a non-pitcher in the major leagues in twenty years. He was the 8th pitcher used by the Cards in the game.